Quite some art specific activities are taking place pertaining to CSR. 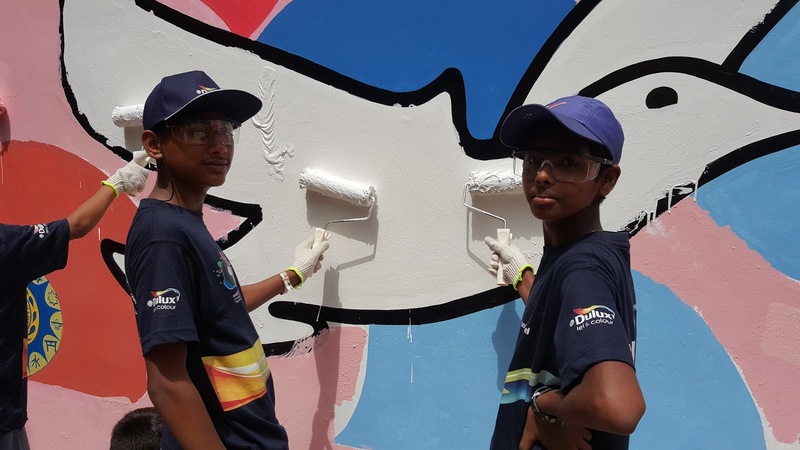 AkzoNobel for instance, recently conducted a painting activity at Saint Monica's High School which is located in Bhattiabad, Karachi. I happened to have been invited to this school to be part of this initiative and it's interesting when I realise that there still are so many places in Karachi which I haven't yet explored, hence, both ways it was a new experience for me. 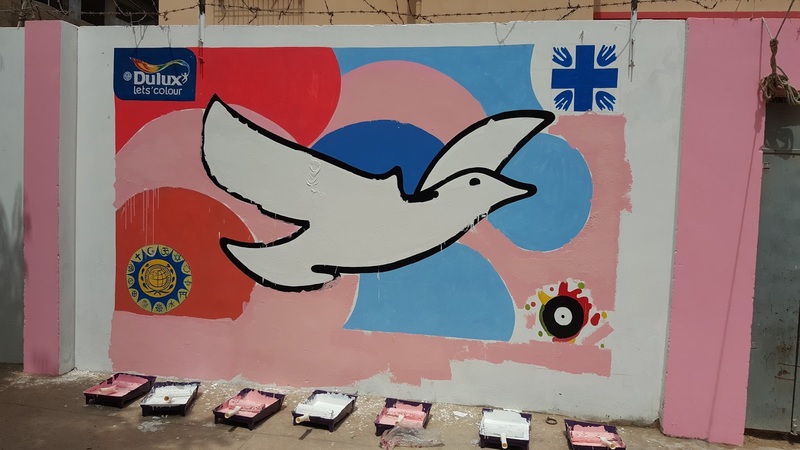 AkzoNobel and the global peace movement, MasterPeace have collaborated for a partnership under which they will paint 100 walls, called the 'Walls of Connection', this will be done in 40 countries. 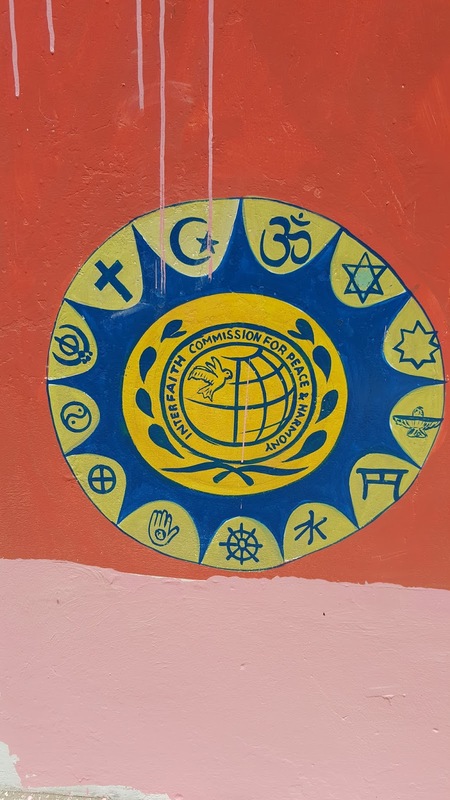 Through this partnership, both entities aim at creating harmony among different faiths and communities, hence, they decided to paint a dove on one of the walls of Sain't Monica's High School, this also being the first of a 100 Let's Colour Walls. These walls are a means to connect people and bring them together through a strong medium, Art which seems to be getting extinct in our country at least. Art is a primitive part of any culture and if it starts diminishing, it marks the decadence of that society; something we've gradually been facing. 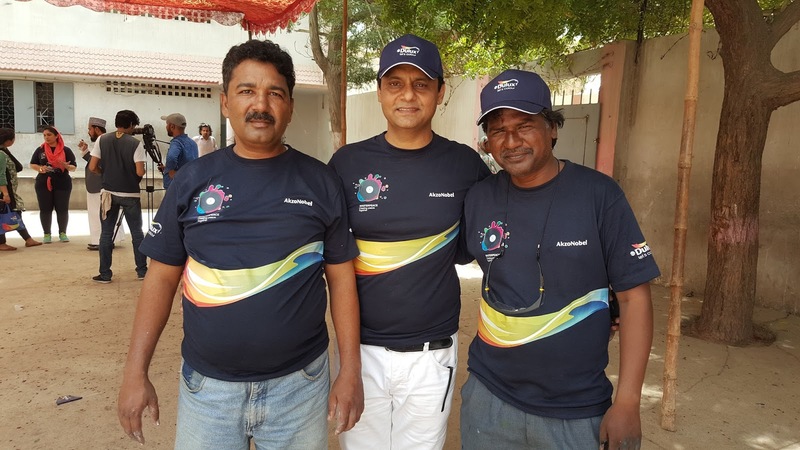 AkzoNobel's senior teams had travelled all the way from Lahore to participate in this painting ritual and more cities will follow. People from different faiths accompanied the team and were hopeful regarding an inter faith assimilating wave that will have a positive impact on the country. 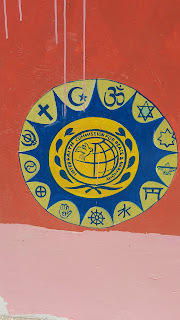 The symbol painted below shows symbols of all faiths as a unified force. This activity will cover 6 schools later for the adaptation of a more inclusive future.